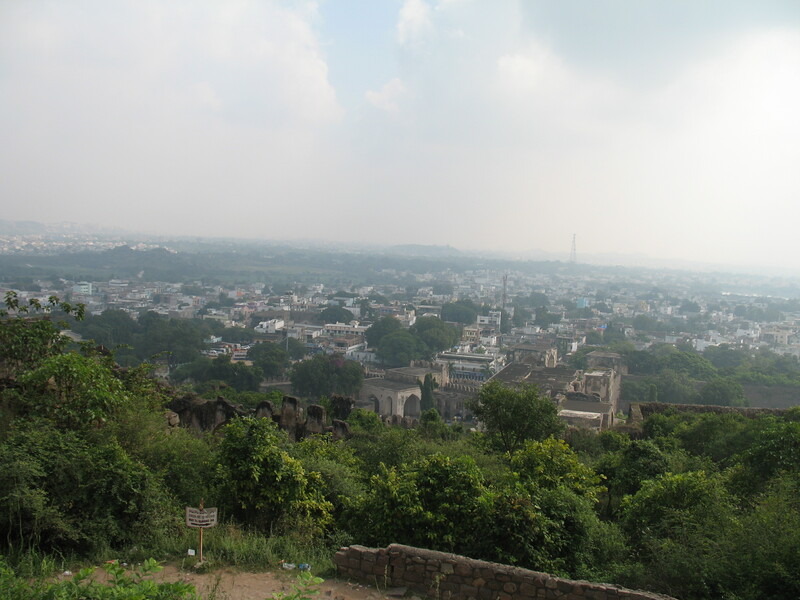 Golconda Fort, which began its life as a mud fort, has withstood the assault of natural elements and humans for centuries and stands tall and aloof to this day. There are features inside the fort that are technologically so advanced that they could teach a thing or two to the military and engineers today. Intimate details like: the low-roofed cubbyholes in the bodyguards’ barracks, where obviously the guards lived away from their own families with bare minimum necessities so they could protect their lord and master; or the alcoves in the walls of the queen’s palace where make-up articles could be stored; or the walkways within the several gardens that are smooth and worn from generations of ancient feet strolling over them tugged at my heart. 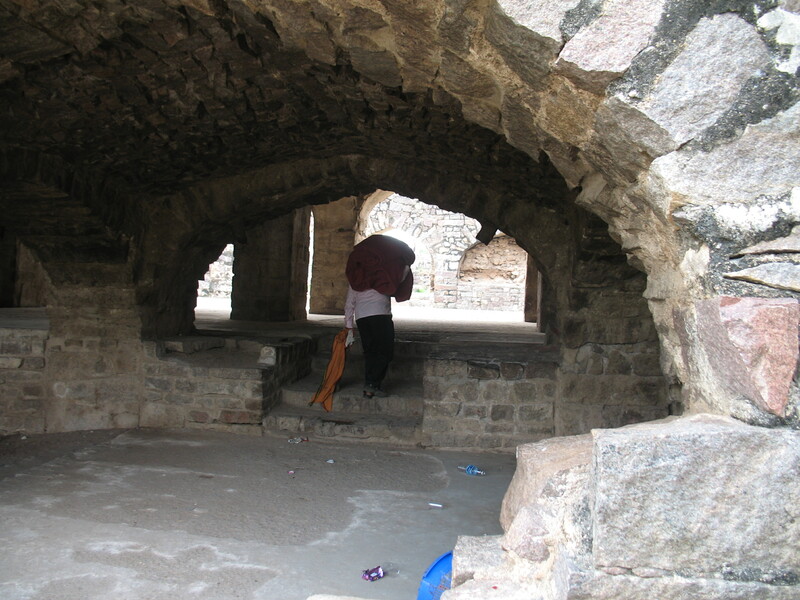 As I walked through the ruins of the Rani Mahal (the queen’s palace) and the zenana (the women’s quarters where the king’s harem lived), I could almost hear the rustle of silks as the women walked by in their colorful ghagharas and cholis (long skirts and intricately embroidered blouses), the numerous bangles on their hands tinkling in unison with their giggles and laughter. They brought to my mind the fact that women and men — who had desires, aspirations, and likes and dislikes probably similar to mine — lived and died here. 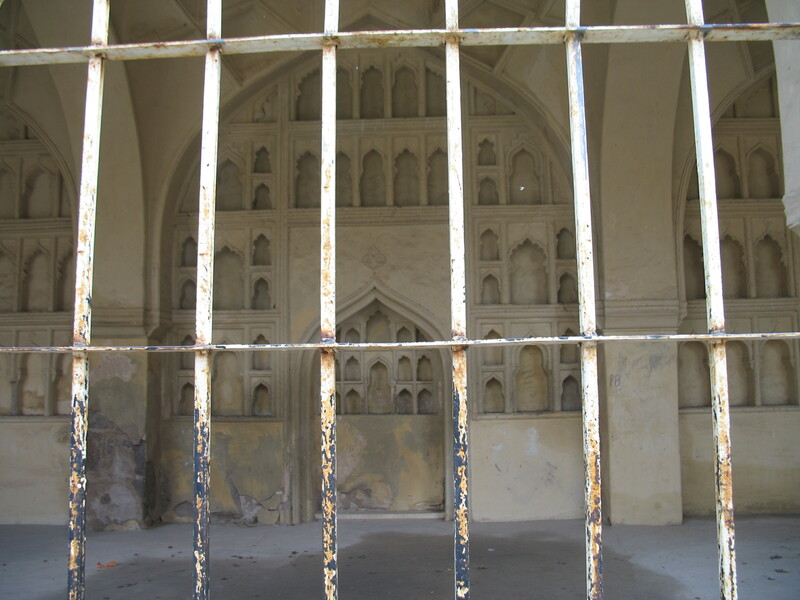 Some of them probably enjoyed the rich lifestyle given them inside these walls, but there were countless others who strained at the invisible ropes binding them to these palaces. All that remains now to show for the lives of the various residents of the fort over the centuries are its somber ruins. 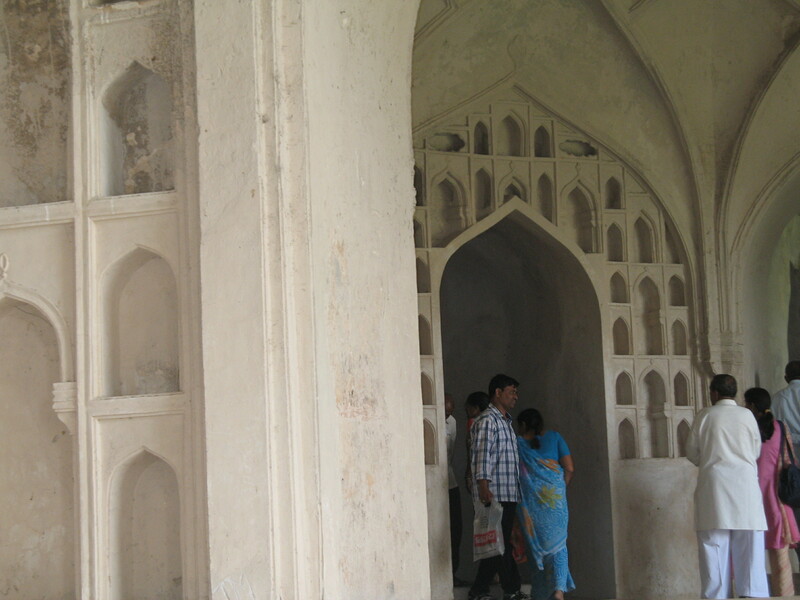 This tall wall curtains off the main entrance to the fort and fools everyone into thinking it’s just a rampart wall. 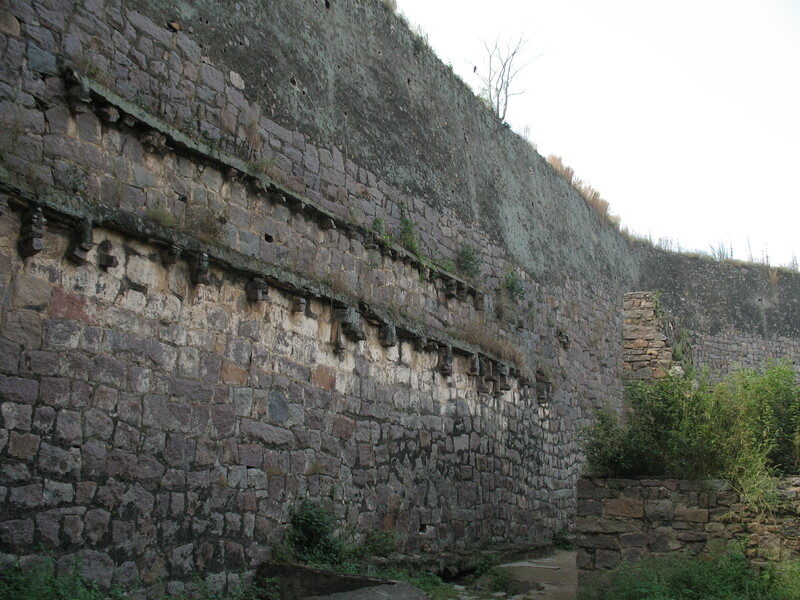 It has parapets above it, behind which soldiers used to crouch and take inventory of the enemy camps during battles. 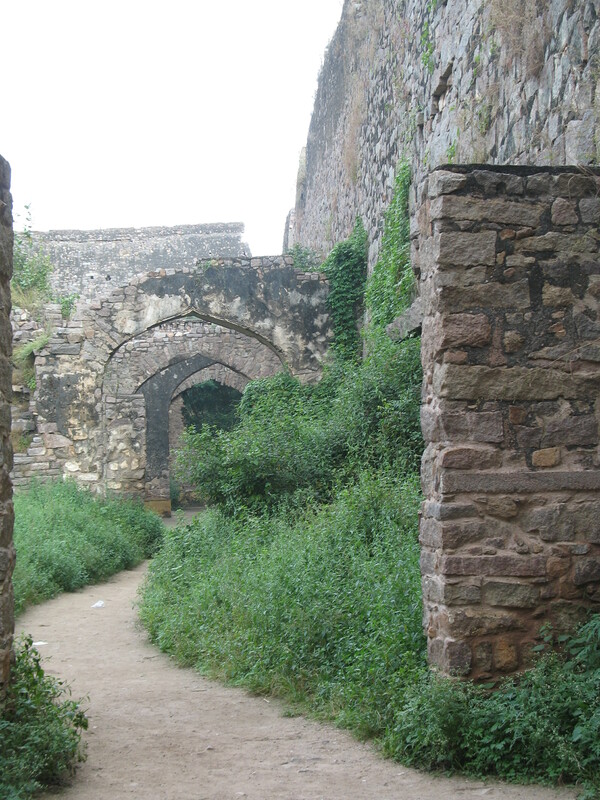 The entry inside the wall that leads to the gigantic doorway is quite narrow, thus protecting the entrance to the fort from the direct assault of an army. 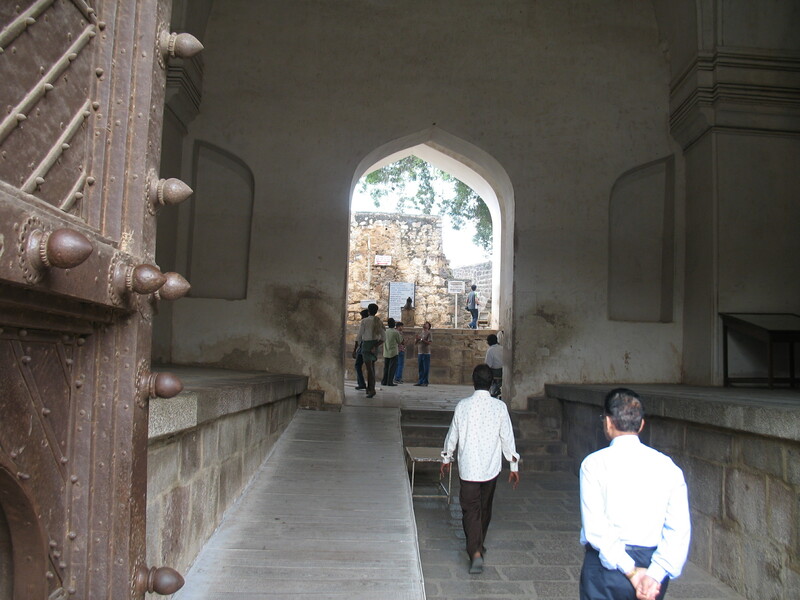 Durbar or the king's assembly hall. 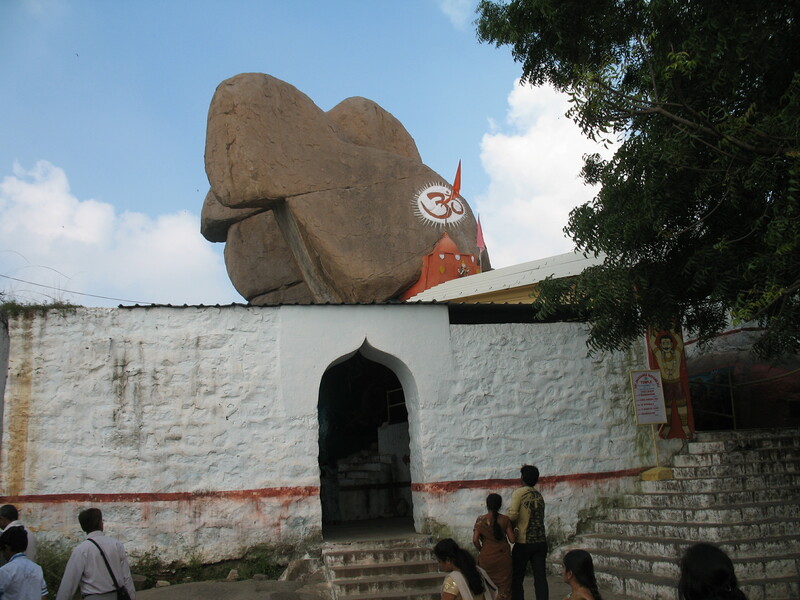 It can get suffocatingly hot in Hyderabad during summer. Inside, where the king’s throne sits, the hallway has been so designed so that cool air flows through it during all seasons of the year. Basically, it was air-conditioning. 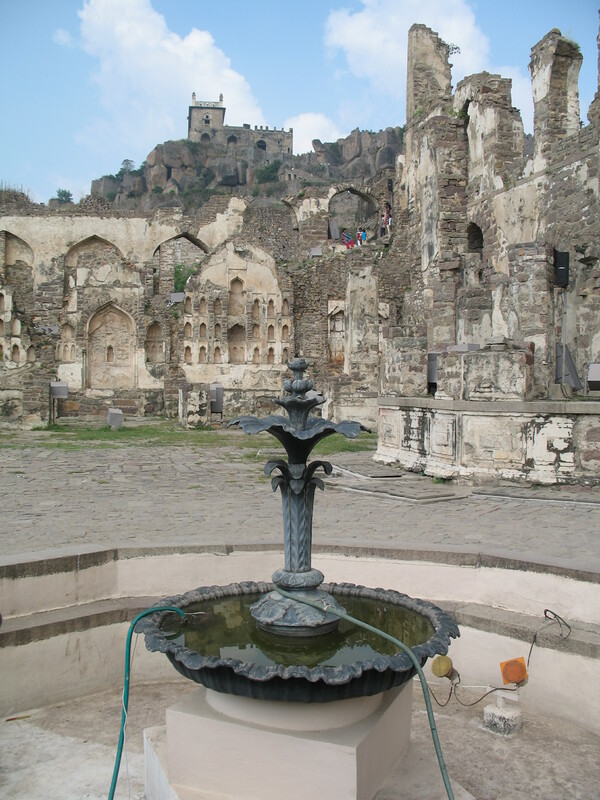 The Golconda Fort – rather its majestic and awe-inspiring ruins – sits on top of a granite hill, at the heart of the old city of Hyderabad. 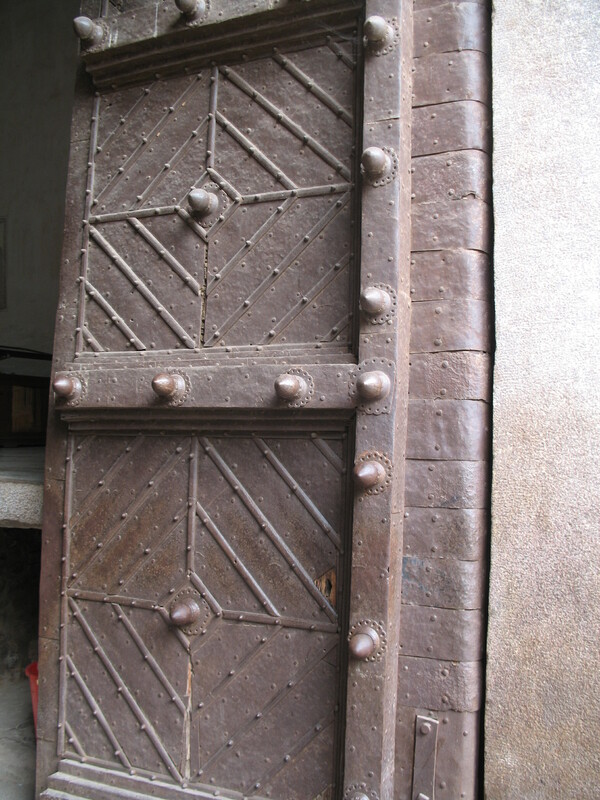 Its origin dates back to the late 1300s. 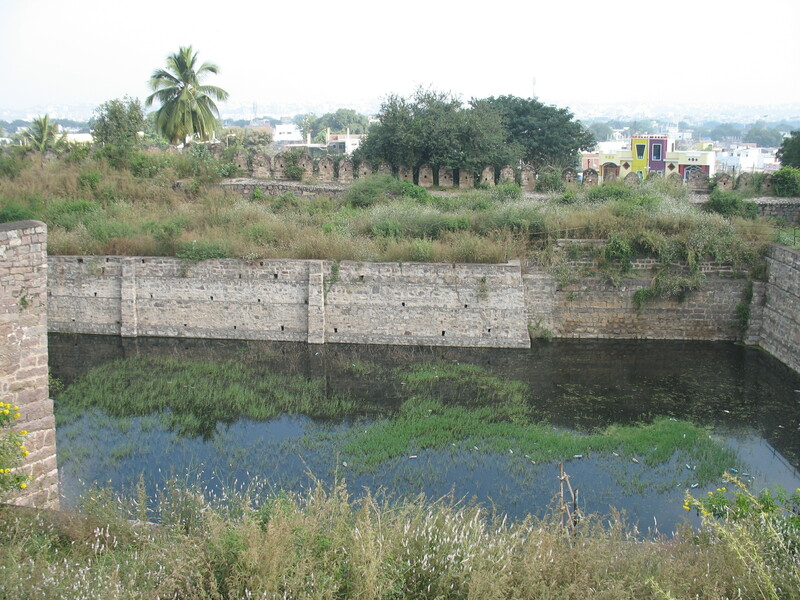 The area where the fort and the city of Hyderabad now exist (it comes under a larger area known as the Deccan) used to be under the rule of Hindu kings originally. 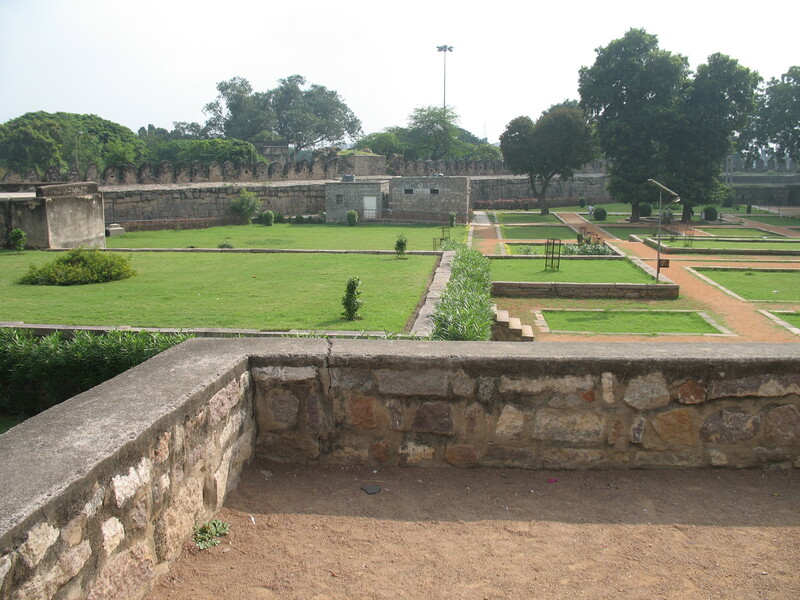 Nagina Bagh: The garden of the serpent. This was where the king and his queens relaxed in the evenings. 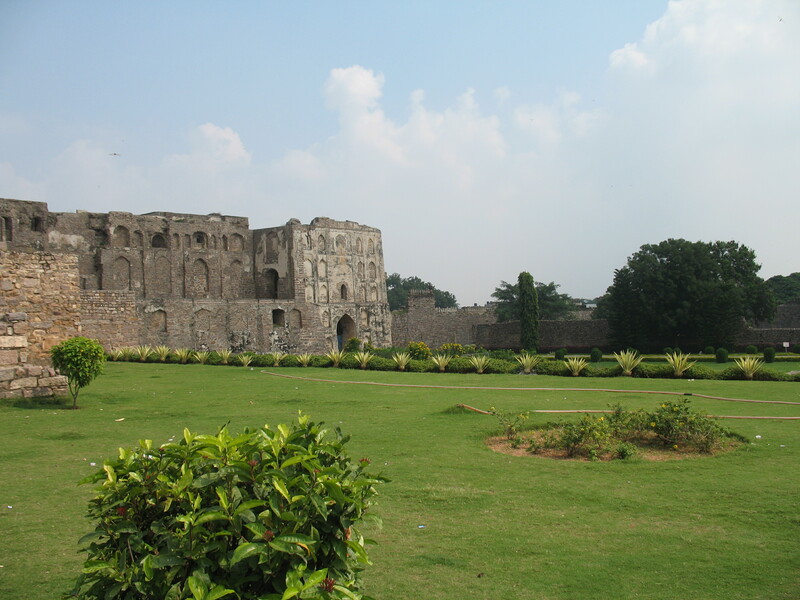 It is only one of the many gardens that exist within the fort. They all still maintain the basic structure, but the beautiful flowering plants and fruit tress, lovely sculptures, and fountains spraying sceneted water are all, of course, gone. 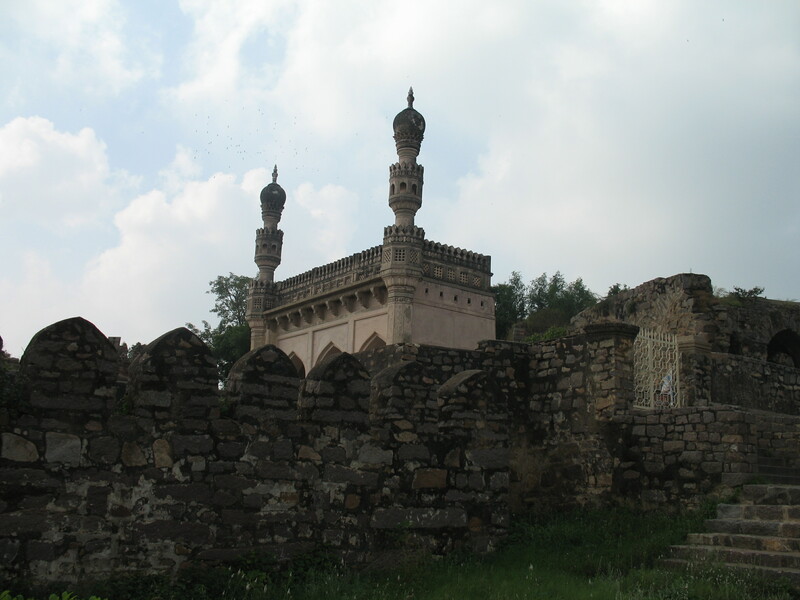 By the 1500s, times had changed and parts of India had come under the rule of Turks and Persians, and Islamic rulers from elsewhere. 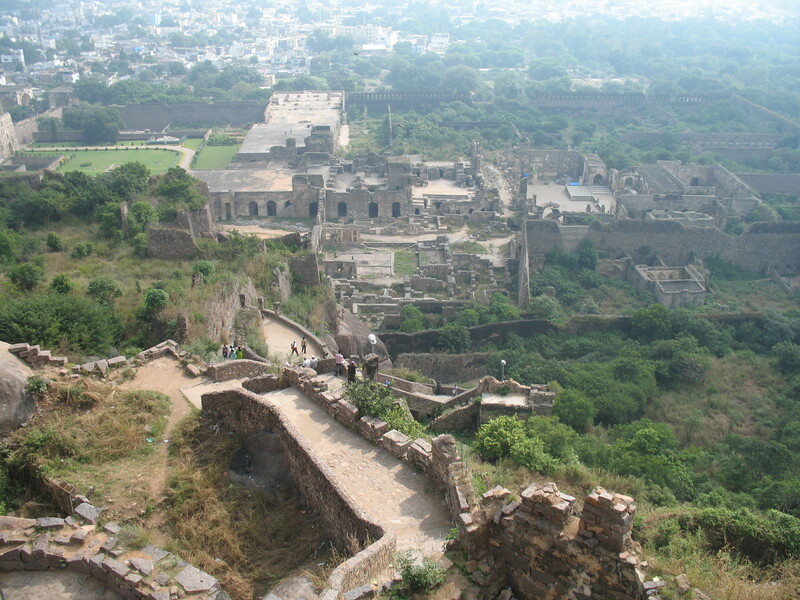 In 1512 A.D, the Deccan fell into the hands of Quli Qutub Shah, the first king of the Qutub Shahi dynasty, who made Golconda his capital (there was no city of Hyderabad by then). 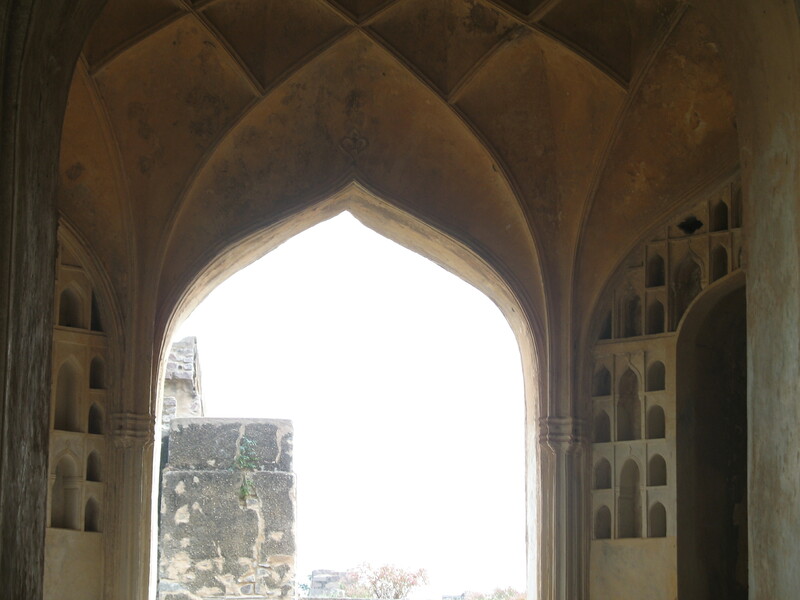 Thus began the exposure of the area to foreign architecture, traditions, and culture, all of which would eventually make it one of the stronger hubs of Muslim culture in India. 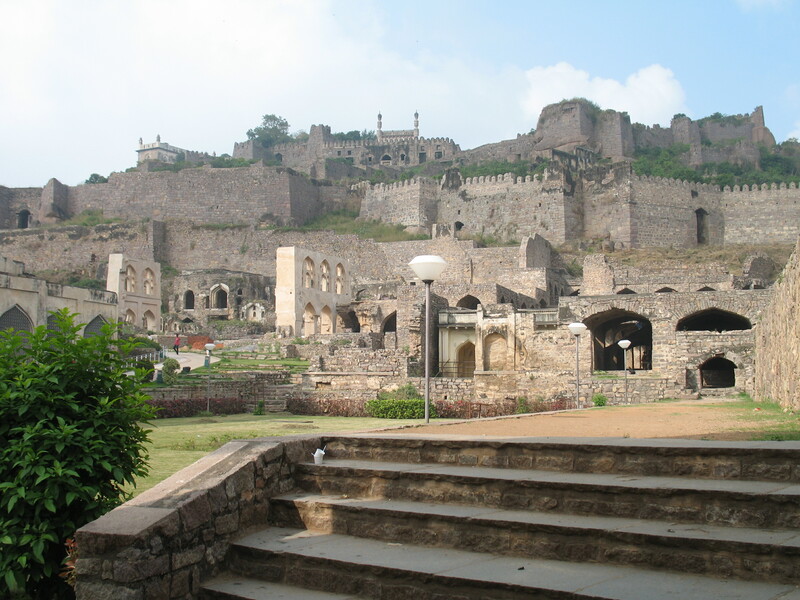 The Golconda fort is also known as the house of Kohinoor. Kohinoor, once the largest diamond in the world, was originally mined from this area. It was also one among the many national treasures of India that were looted and borne away to foreign lands by invaders. The diamond has changed hands over the centuries and now is one of the British Crown Jewels. 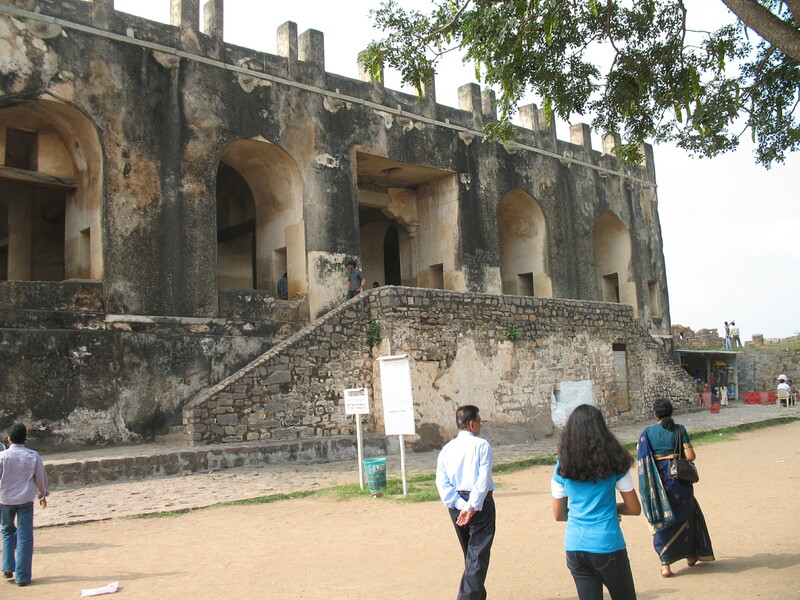 The fort stayed impregnable for a long time, until the advent of guns and canons. 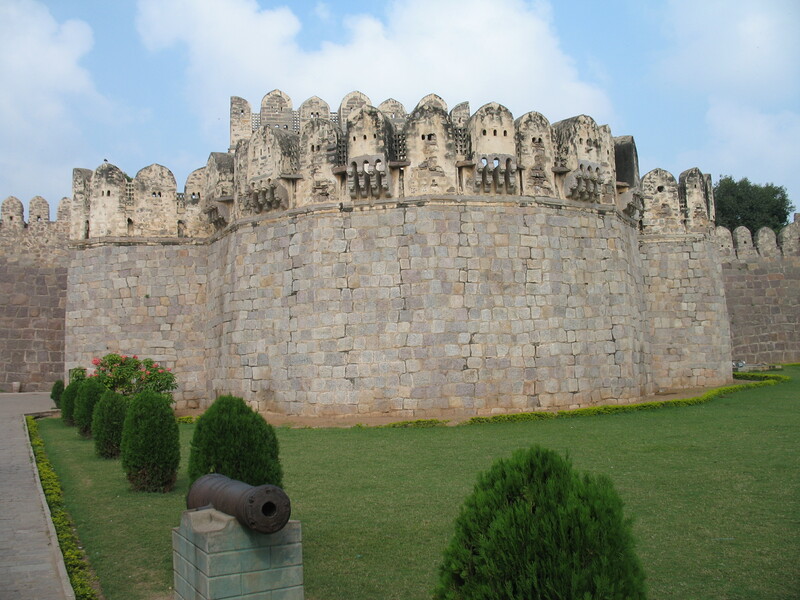 Even then it withstood one of the strongest militaries of the time, the Mughal army (led by Aurangazeb, during the long-enduring Mughal campaign to establish control over South India), for months on end. 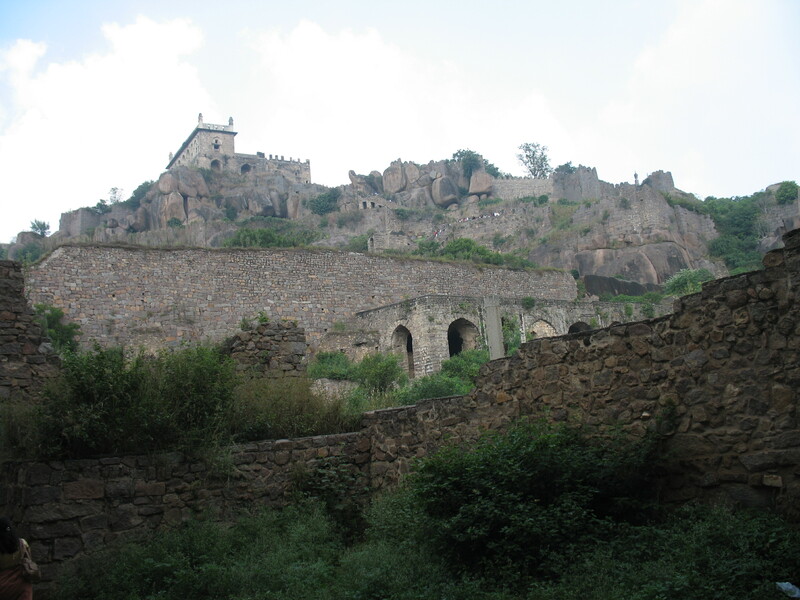 It was during this siege that Golconda finally succumbed and fell into the hands of Aurangazeb. Today seems to be more of a day to muse than ramble. I’ll leave you all with some passages from some of my all-time favorite books – in both children’s and adult categories. 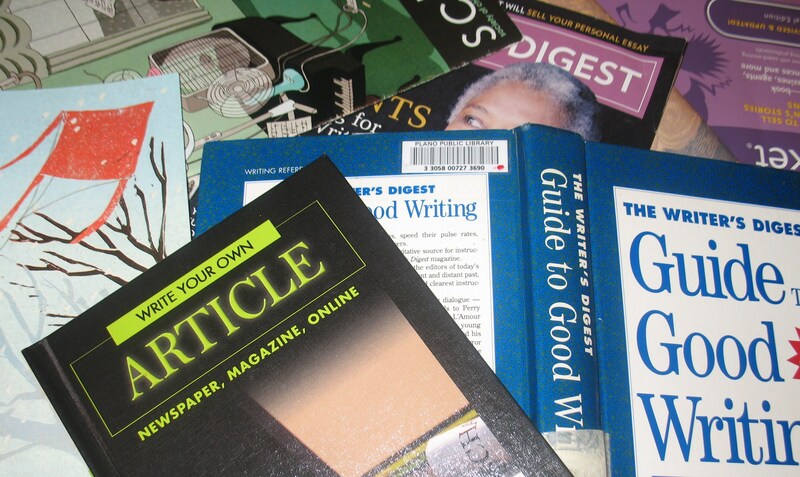 Pick up any one of them from a bookshelf and spend some time with it, if you haven’t already done so, and you would’ve made a friend for life. I promise. They set off to the east this time, across the thick, springy heather, and almost at once found signs of the passing of caravans: twigs broken off the bushes, a wheel rut on a soft piece of ground. A robin hopped about the growing pile of soil looking for worms. The morning sounds of Thrush Green were muffled by the height of the earth walls about them, but in the distance they could hear the children playing on the two swings on the green. “Wait a minute then,” said Swaminathan and ran out. He had one last hope that his granny might be asleep. It was infinitely safer to show one’s friends a sleeping granny. He had missed the old rectory, too, with its clamor and quiet, its sunshine and shadow. Never before in his life as a rector had he found a home so welcoming or comfortable – a home that seemed, somehow, like a friend. Happy Valentines Day, everyone! Hope you are surrounded by both old and new friends with whom to share this day!